Recently I have publish top ten best Dictionary App for Android app which is a mixture of all best dictionary apps for English to English, English to Hindi, English to Bangla, English to Tamil, English to urdu and so on. Today I am going to list of best English to Hindi dictionary app for Android. This list is based on my own review. I have care student requirement for English to Hindi Dictionary. You should know Currently I am preparing for SSC exam so I know very well, what is the requirement for a student who is facing SSC exam and Bank exam also. We (my friend circle) always use to search offline English to Hindi Dictionary app on Google PlayStore but we didn’t find what we are searching for. 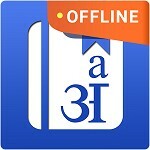 So I decided to find a complete offline dictionary app which will be best one of other dictionaries. Today I have collected the best English to Hindi Dictionary apps for Android user. Listed below offline dictionary apps are only for English to Hindi and Hindi to English Dictionary. English Hindi Dictionary is offered by HindKhoj . English Hindi Dictionary one of the largest downloaded (Approx. 5 million) dictionary in Google Play Store. This is offline dictionary as well as Offline translation. This dictionary app is having lakhs of Hindi and English words to works in offline mode. English Hindi Dictionary provides word meaning with appropriate definition, synonyms and antonyms. This app also can be use to learn both Hindi and English Language. They provide words with proper grammer usages like Noun, Verb, Adjectives, Pronouns etc. Not only words and Translation they also provide idioms and phrase with explained examples and detailed definition. Daily vocabulary dose – Words of the day. Totally free and completely offline. English to Hindi and English to Hindi Dictionary or Translation. Play vocab game to improve word meaning. Note : If you have any problem in downloading with Play Store app then then download Play store app from browser. English to Hindi Dictionary is Offered by BurningPassion® and designed by passionate UI developers. This Dictionary app has downloaded 5 Million times. English to Hindi Dictionary app is also alternative of top dictionary app. This is a quick bilingual guide works with meaning for all English and Hindi word meaning. This app is smartly designed light weight app which works offline and gives faster results without any problem. English Hindi Dictionary app is offered by BAPPI . English Hindi Dictionary app has downloaded 1 Million times. This is fully offline and free Dictionary app for English to Hindi and Hindi to English Dictionary app. This app provide study plan section where you can add word for next time reading. This app provide autosuggestion for every words without typing full word. 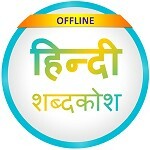 Hindi Dictionary (Offline) is offered by BdRulez . I have categories this app in Top #3 position. Hindi Dictionary app is offline dictionary app which is 100% free dictionary app. Hindi Dictionary app has automatic search history saver tool. The most things I like – It provides many synonyms of one word . Use this for English to Hindi or Hindi to English dictionary as well as translator. Search word and get categorized meaning by Noun, Pronoun, Adjective, Verb, Adverb, Preposition, Suffix, Prefix etc. You can translate full sentence here. Hindi Shabdkosh is offered by Sahitya Chintan . Hindi Shabdkosh is completely Hindi dictionary. Hindi Shabdkosh is having more than 65000+ English and Hindi word meaning. English to Hindi Dictionary is a free offline dictionary which is designed to help hindi speakers to learn and improve their English language skills. A light weigh android phone dictionary app works offline and gives faster results without any problem. It is totally free and fully Offline. It provides English definitions, word pronunciation and Hindi definitions of the searched word. It provide Word of the Day. It is having auto-suggestion functions. There are many English to Hindi dictionary app available in Google Play Store. So I have created this list from where you can access top and best offline English to Hindi dictionary app for smartphone. 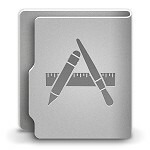 If you have any suggestion regarding best dictionary app list, Comment below. I have visited your blog. Really superb content you have collected. This is a great list – but its best for Hindi language users. I have created this list only for Hindi friendly users. If there are not available for your country/language then Please reply and i will try to add dictionary for your country/language. Its a good list of offline dictionaries. Thank you for sharing.